Indeed, it was so so YUMMY! Wow... so HUGE! Happy Sunday! 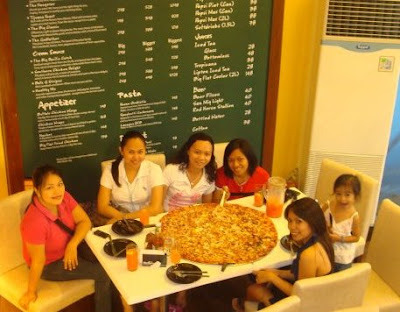 oh this is so big.. my daughter requested for pizza party on her next birthday. 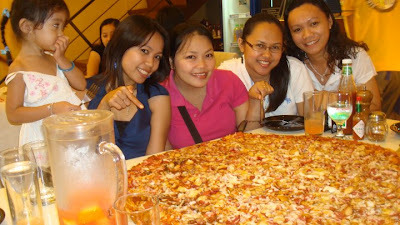 Oh My Pizaa,, just gigantic eh! gonna have a heart attack from this one. grabe, sobrang big sis. masarap po ba? 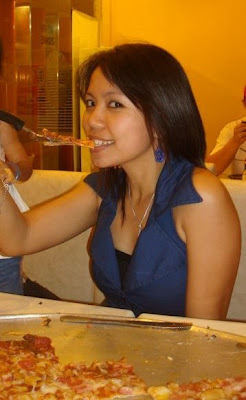 parang gusto ko tuloy mag pizza bigla..
Join Kaye and Pehpot's Blogversary Contest!